Get your little thinkers to really THINK critically, make connections, and think out-of-the-box. 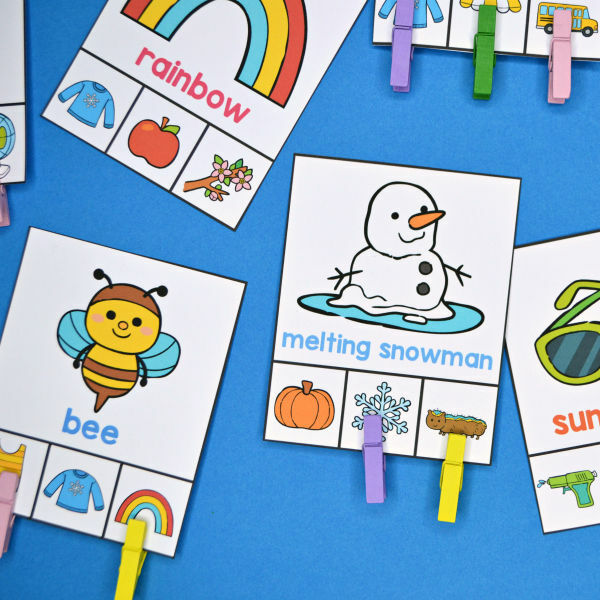 These colorful clip cards are featuring objects, creatures and scenes that belong to the 4 seasons! This PDF printable set includes 40 clip cards. 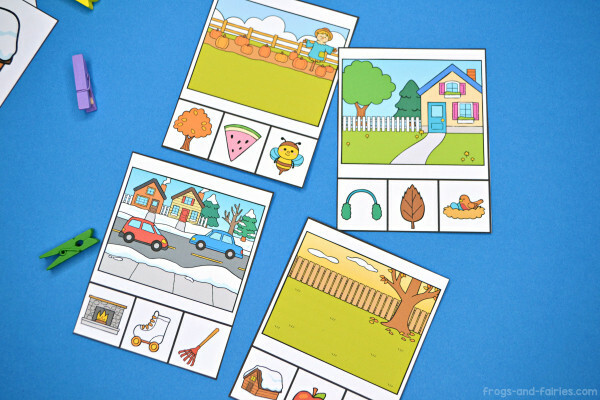 These clip cards promote critical thinking skills, which are so important in everyday life. These skills help us make good decisions, analyze a situation, solve problems, come up with possible solutions and understand the consequences. Kids can learn these skills by evaluating the information to determine if it is true. 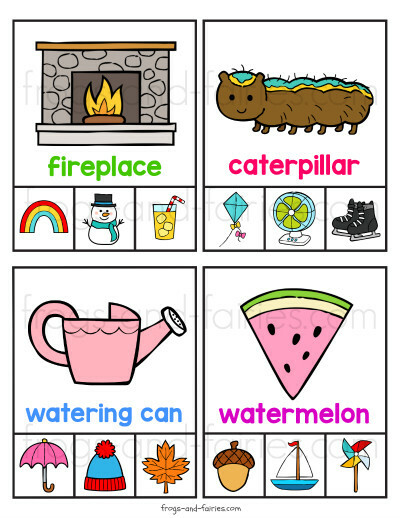 This fun activity will guide the thinking process. 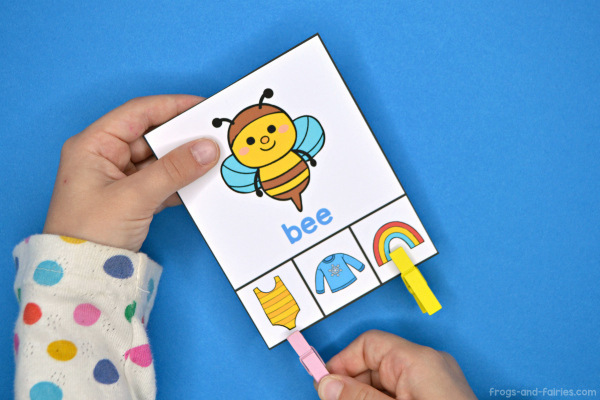 Using these clip cards, kids are going to evaluate the information they receive mainly as images. 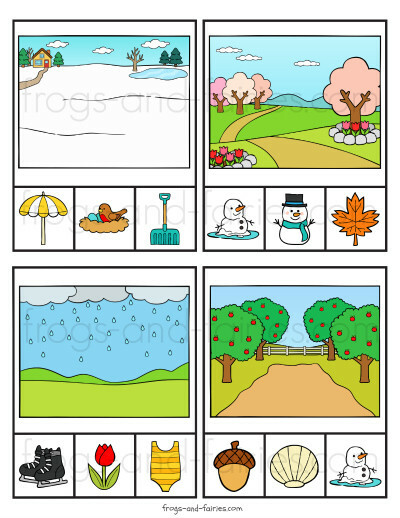 Which bottom picture does the top picture connect to in terms of seasons? They will first look at the picture on top and then try to connect that picture to the one (or more) of the three on the bottom of the card. They can do that by placing clothespins or other small objects and placing them on the answer. 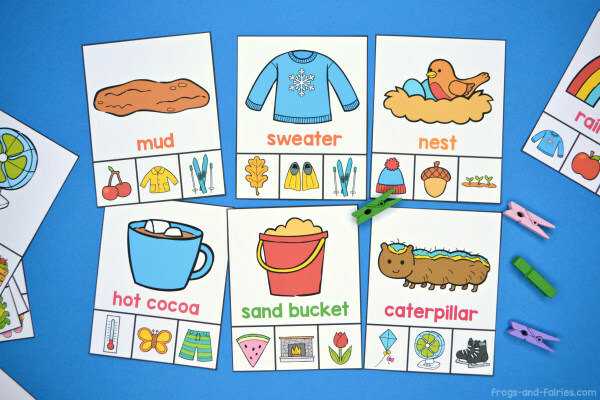 This activity is designed in an open-ended way. Since we want them to think for themselves, as long as they can logically reason their decision, it can be correct. There can be more than one answer and each child can potentially have a different one. 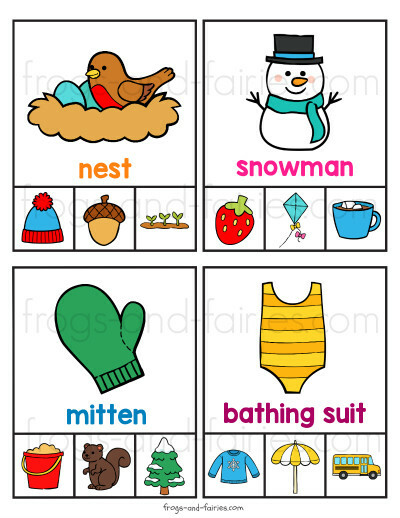 Also, kids can have different experiences, knowledge and beliefs about different seasons. All of these things can have an impact on a child’s perception of a certain season. 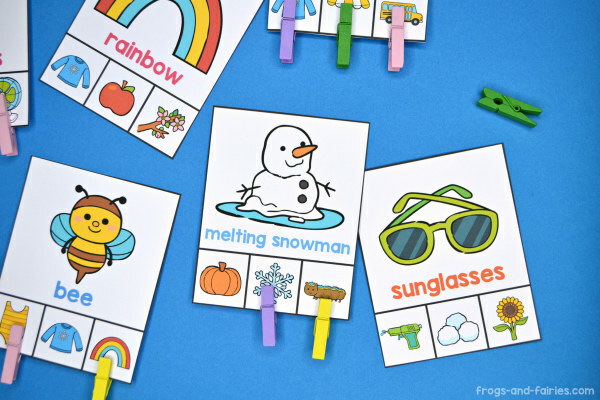 These clip cards will sure make them think, discuss and have fun at the same time! TO PREP: Print out the cards. Print on cardstock for more durability. Cut out the cards. Add clothespins, pebbles or buttons depending on your preference or your child’s fine motor abilities. TO PLAY: Each clip cards includes 3 choices to choose from. They will look at the picture on top and try to connect it to the one (or more) of the three on the bottom of the card. They can do that by placing clothespins or other small objects and placing them on the answer. Have fun!